Donate! - Diamond in the Ruff Rescue & Rehab, Inc.
Diamond in the Ruff Rescue & Rehab Inc. is not a division of County Government and therefore is supported solely by your generous donations. Unfortunately, most dogs come to us with an expensive medical problem, and we do not turn them away. It is because of such donations that we are able to continue our work. We would like to thank all of you who have donated in the past and all those who have yet to donate. Monetary donations help pay for medical supplies and rising vet bills from ailments and surgeries, including spay and neuter. We had a family of dachshunds undergo dental work, racking up a bill of over $800! Recently, there has been an influx of dogs who have been heartworm positive. 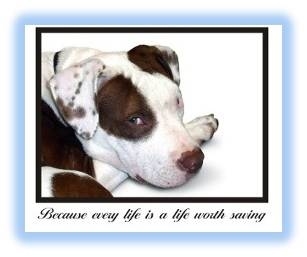 Heartworm treatments run between $300 and $500 PER DOG! We also have a donation bin in the Seneca Bi-Lo. This is a good place to drop off food donations. Pedigree is a good brand to donate, as it provides a good cost-to-quality ratio.